Thoughts? Are we getting as bad as the Jets? There is right now, in front of your face, a discipline problem in Miami. How does that make you feel? Under Don Shula, it was clear as day and understood by all that discipline problems with players would not be tolerated. Coach Shula even went on to have year after year of teams with the lowest penalty rate in the NFL and all the while becoming chairman on the Rules committee of the NFL and moving the league toward a new era; ushering in such things as the dynamic passing game and the faster-paced games we have now inherited in this generation. Back in the 1970’s there were long waits while a team was in the huddle and the game clock ticked slowly by with no action – totally different watching a game now. A man of integrity and ethics, Shula believed in winning outright by following the rules. And he deeply frowned on players getting drunk and beating their girlfriends or driving home from bars late at night or walking away after early-morning car crashes. Bill Parcells, aka Big Tuna, we all know came out publicly and stated that he would not tolerate such behavior on day 1 of his tenure here. And yet it is not only happening and continuing it is possibly even worsening. Feel proud of this team and it’s commitment to becoming a Champion? Clearly the players do not fear or respect this man at this time. Here is the real question now: which Miami Dolphin will be the next one to break the law and cause a flap for the team? Not to mention this: what message do you think it conveys to the rookie players coming to the NFL for the first time and after having attended the recent NFL Rookie meet 6 1/2 weeks ago? Teams that break rules and coddle and permit players to get in to trouble are losers. The very best case in point on this is the Oakland Raiders who lost the 2005 Super Bowl while having their Pro Bowl Center penalized because he was absent from team meetings on Super Bowl week and was found to be spending his time across the border in Tijuana getting drunk. The Tampa Bay Buccaneers won by a large margin and you better believe the Raiders could have used their star center in the game. So, when will action finally be taken and a “head on a pike” by the Miami Dolphins organization to stop this? I’ll tell you that the NY Jets organization has to be laughing themselves silly and surely the Jets blogs are eating this up. Discipline problems tear teams apart and are an indication that players and management don’t care about standards and are not professional. And there is just too much now to sweep under the rug. This is disgusting and is what I might have expected from the Oakland Raiders or perhaps the NY Jets. But not the Miami Dolphins under Bill Parcells and Tony Sparano. A public apology and a major change is what is needed now to recover from the building shame that is continuing. The only real ray of sunshine is that it is happening right before training camp when Sparano and the Miami coaching staff will have the opportunity to thoroughly put the team through workouts and discipline programs. 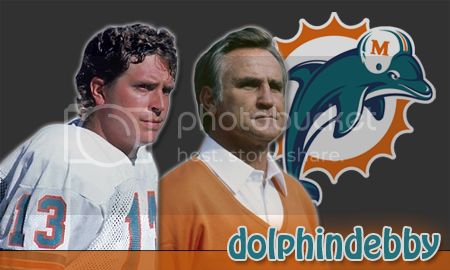 That was the first thing that Don Shula did when he took over the team in 1970 and several painful workouts later they became molded into an actual valuable organization that can be properly called by the overused moniker, “team”. This stinks of multi-millionaire elite players who flaunt the law because they think they are above it. It is not, not, not in keeping with the heritage and traditions that we know of the once-proud Miami Dolphins. Think penalties will be coming down from Roger Goodell, the NFL Commissioner now? Players are different now than under Shula .... they truly do not appreciate what they have & think they are above the law. The lore of the lifestyle here does not help either. Years ago we all thought the Dolphins were the closest thing to choir boys , obviously that is not even close anymore & probably was never the case anyway. Its really a NFL problem , one that I dont think will change. The regimes in Miami post Shula are so consumed with winning that they seem to forgive & forget all these infractions. The days of Shula are long over. I thought the Steelers handled the Holmes situation great ... no matter how much of a star you are you are outta here ... but then as a team I would have liked for them to come down harder on Roethlisberger. Also when thinking of bad guys I really dont think of the Jets as much as I do the BengalsBut obviously every team has more than a few of these guys. Winning trumps everything. If we win a super bowl, no one will care who got in trouble with the law. Case in point, Ray Lewis!!!!!!!!! For all the things Shula and Parcells have said or done to keep a disciplined team, they no that their contract gets paid by wins, not by keeping choir boys. I don't agree with it but, that's just the way it is. I think this is really much ado about nothing... Really, is this team any worse than any other in the league? - Ronnie Brown got a DWI. Lots of people do. I'm not condoning it, but it happens everyday. Other than that one mistake, what else has he done to earn the label "thug"? Nothing. - Will Allen: See above. - Randy Starks did a bad thing. Has he done anything since? Nope. - Phillip Merling is a buffoon for what he did. But as far as we know, it was a first time offense. Until he does it again, we need to give him the benefit of the doubt that he made a mistake, learned from it, and will now move on. We don't have any drug dealers or murderers on this team. Our guys aren't involved in gun battles outside a birthday party or dogfighting rings or rapes or vehicular manslaughters. Nobody has killed anyone (accidentally or on purpose), so I think the idea that this team is full of "thugs and hoodlums" is a little over the top. One of the reasons this country is great is that you can make a mistake in life and usually, you're going to get a chance to redeem yourself. I mean seriously..... If you want to get on Ronnie Brown's case for a DUI.... you might as well put a secret tail on EVERY NFL player and make sure they dont do anything to hurt the franchise....... Imagine this, Peyton Manning pops fish oil pills with his OJ in the morning, opens up his newspaper and starts his crossword puzzle. Gets furious that he isnt smart enough to finish it, and punts his pet cat across his 5 acre property........ NO ONE WOULD EVER KNOW, nor would anyone ever assume that he would betray an animal as such, yet IF that story rises to the surface, what would we think of him? Ultimately, I understand where this story is going. Im not defending the opposite case here at all. Its just that, Please name me one bad apple on this Dolphins team right now.... And after that, think around the league, or watch PTI and see how many other NFL athletes have done far worse, and we can understand. Almost every team has at least one character on their roster that has done something illegal. Thats all, so why criticize a team that resides in a tempting alluring city that doesnt really have much to criticize. I dont see any rapists, murderers, major felons or heavy drug abusers on this roster....... which could put us in a minority of NFL teams as it is. Very well put. Why Miami has become poster boy for bad boys is beyond me. I guess we can thank the guy at PfofootballTalk.com along with Alex Marvez. Not condoning what any of them did, especially Phillip Merling. Don't you guys also think that back in Shula's time, the press wasn't all over the guys like they are today? Now every thing they do is under a microscope. The press looks for junk to write, whether it's true or not at times. At the same time, I think it may have been easier to deal with cops than Shula. That's the thing. No heart, no character hardly ever wins a SB. At least Ray Lewis has heart and he's been clean ever since. He was also proven "innocent". Look at who we have brought in since JJ. Cecil Collins, Marcus Vick, Marshall, ETC. The Steelers did a great jon with Holmes. Debby, I think that is very much the case. Today, you not only have ESPN, Foxsports, CBSsportsline among other internet sites, you now have sites like TMZ that have started sports division. It's a very different world now in regards to coverage of sports. First, Teams like say.... Buffalo, Green Bay, Minnesota, Detroit their players dont live in the area YEAR ROUND, alot of them have homes elsewhere in more..... 'pleasant climates' where alot of them are in South Florida.... Ok so there is probably more of an abundance of offseason athletes in the South Florida area than any other region of the country..... maybe, maybe not, but the area itself is a very public area. Who cares what is reported? Just do the right thing. Is it that hard? Get a cab, driver when you go out. DOn't beat your wife or girlfriend. Show up to training camp on time. Don't leave your car on the side of the road. ETC. SOme of you jyst keep giving these guys free passes. To be in that position with all that money and fame, they must do the right thing. A lot of kids look up to these guys whether they want it or not. It comes with the job, big bucks, big responsibilty. No excuse/reasons. But look at it this way ... players know the deal here & welcome it. Almost like thet are asking for trouble. Lebron said he is taking his talents to South Beach .... not the Heat or even Miami. They all want what is perceived to be this lifestyle but then when they abuse it & it bites them in the a$$ , they all convenietly ask for forgiveness , ask for privacy or find religion. It takes a very level headed athelete to not succumb to alot of these temptations ... unfortunately these guys in todays game lack that.